Focusing on NC State’s 2018 regular season, our charted play data provides unique insight into the Wolfpack offense, highlighting not only strengths but weaknesses. 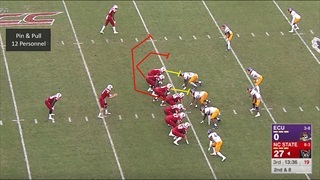 Here is Part I in our look back at the offense. NC State rising senior Tyrone Riley could be in line to start at left tackle in 2019 for the Wolfpack. 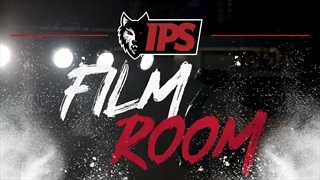 In this edition of the IPS Film Room, we take an in-depth look at his performance at both tackle spots in the season finale. 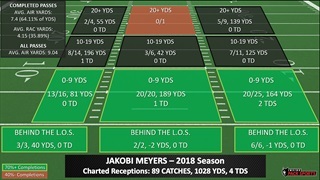 In this feature we take an in-depth look at the efficiency of NC State's wide receivers in the 2018 season, specifically star wideouts Jakobi Meyers and Kelvin Harmon. We take an in-depth look at senior quarterback Ryan Finley's performance and the rest of the passing attack for the Wolfpack this regular season. 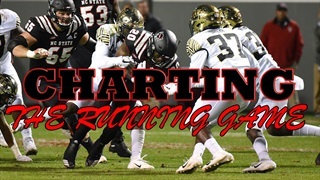 On this edition of Scheme Talk we take a look at one of NC State's late-season tweaks in the running game, the pin-and-pull blocking concept that led to big plays in the season finale. 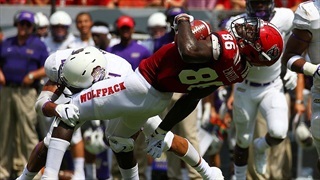 We take an in-depth look at NC State's running game after the 58-3 home win over East Carolina. We take an in-depth look at NC State's running game after the road win at rival North Carolina. We take an in-depth look at senior quarterback Ryan Finley's performance and the rest of the passing attack in the Wolfpack's road win at North Carolina. We take an in-depth look at NC State's running game after the road win at Louisville. We take an in-depth look at senior quarterback Ryan Finley's performance and the rest of the passing attack in the Wolfpack's road win at Louisville.